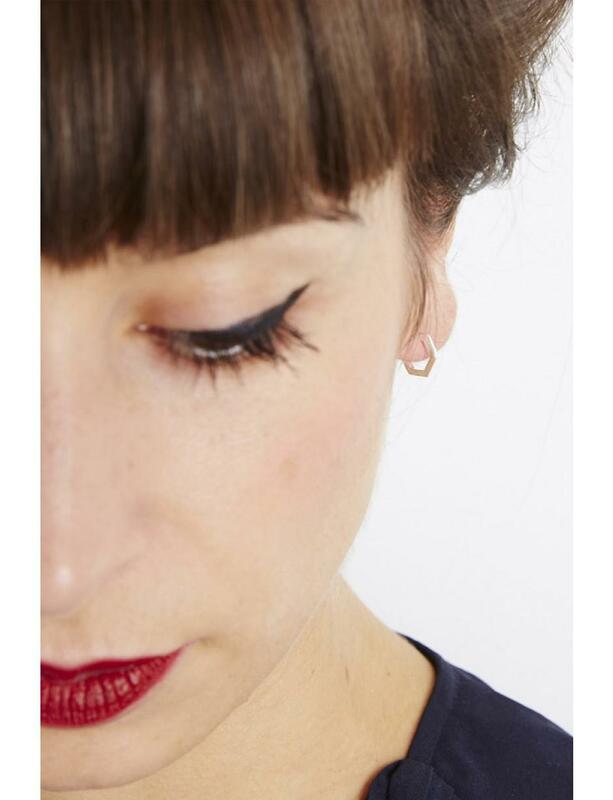 See more Rachel Jackson Earrings. We check over 450 stores daily and we last saw this product for $80 at Atterley. 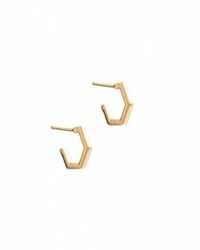 Rachel Jackson Mini Hexagon Hoop Earrings. Mini hexagon hoop earrings in 22 carat gold plated sterling silver. Height 0.7cm, width 1cm. 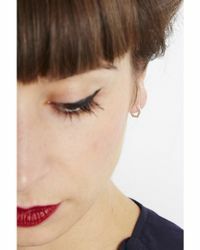 Stud earrings with butterfly backs. Lancashire born Rachel, started selling her jewellery in 2006 on a market stall in Spitalfields, London. At first Rachel designed and made her jewellery from her kitchen table, but within three years her designs were being sold in over 100 stores worldwide and she moved to a beautiful studio in East London, where she still works now – alongside a hugely passionate and talented team.